The older my girls get the more I’m learning the importance of picking my parenting battles. We’ve been down the road of make up before and now they’re starting to develop their own sense of fashion. If either of them tried to leave the house in something a little too tight… or a little too short… or cut too low I’d have to step in. Other than that I’m pretty much hands off when it comes to clothes. This morning was one of those times that I questioned the clothing choice one of them made but decided to leave well enough alone. Let me explain. 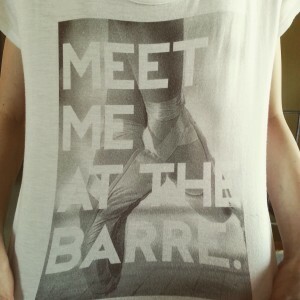 My oldest chose to wear one of her new dance shirts. When she got the shirt I thought it was cute and would be fun for her to wear to dance practice. I never thought she’d want to wear it to school. The shirt? 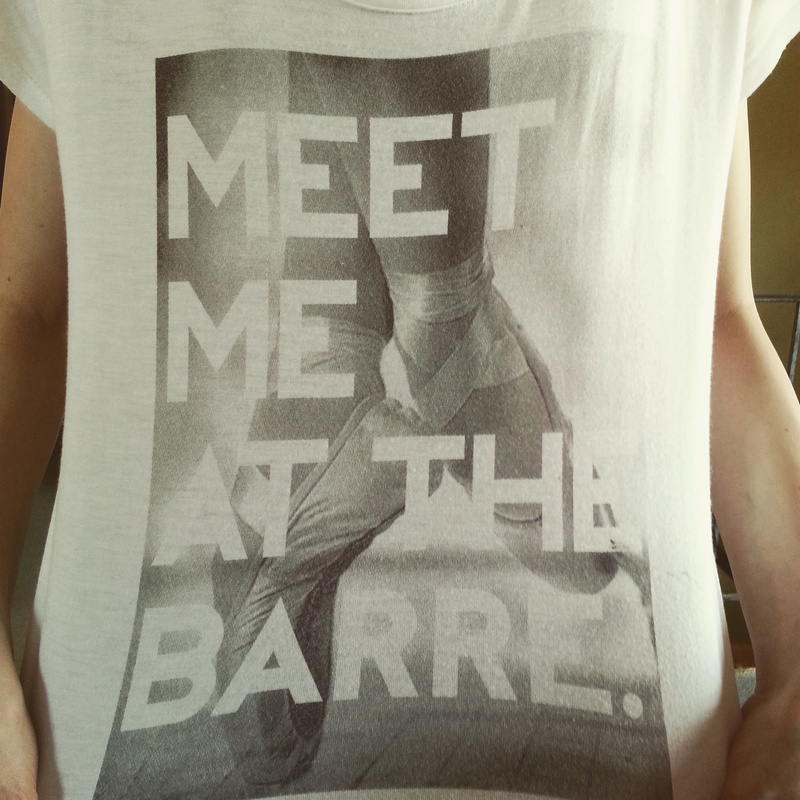 A white t-shirt with a grayish picture of some pointe shoes and the phrase, “Meet me at the barre”. I knew her dance friends would get it but I wasn’t so sure about her teachers. I subtly asked if she thought the shirt would cause her any trouble at school. Perhaps I was projecting my own past on her. I was maybe a year older than she is now when I got sent home to change for wearing a Spuds MacKenzie t-shirt. That was good enough for me. I was curious how the day went so the first thing when I got home I asked about the shirt. Glad I didn’t use my parental veto on her wearing that shirt to school. I have a feeling I’m going to need it at some other point in the future. What do you think? Would you have let your kid wear the shirt to school? Previous PostWeekly Verse – Holy WeekNext PostBrilliant, Lazy, or Both? You’re right. 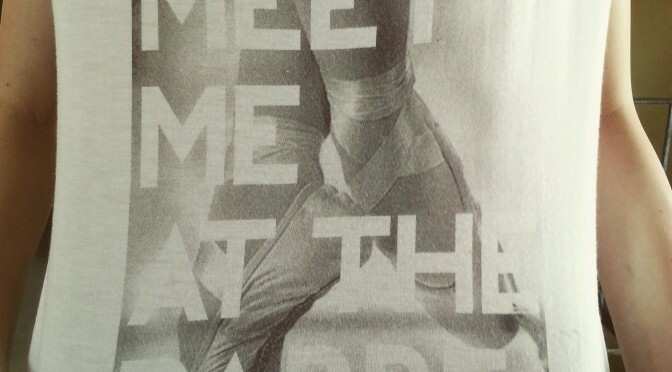 The pointe shoes shift the focus to dancing.